Terminalia Arjuna commonly known as Arjun tree, Arjuna, Koha, Kahu, Arjan, White Marudah, White Murdh, Arjuna Myrobalan, Orjun, Yerra maddi, Sadada and Sadaru is a tree of Combretaceae family and genus Terminalia. It is a deciduous riparian tree native to India but also found in Pakistan, Sri Lanka, Myanmar and some other Asian Countries. The name Terminalia is derived from a Latin word ‘terminalis’ or ‘terminus’ which means “ending”. In other words it is refer to the habit this plants leaves that are being crowded at the tips of the shoots. The name ‘Arjuna’ is also well described in the ancient Indian script known as RigVeda and Atharvaeda. In this it is term as a “white” or “bright” or probably the shining quality of its (Chaal) bark. Terminalis has been used in the Ayurveda system of traditional medicine since the 7th century. All parts of the plant are used, usually as a milk decoction. Practitioners of Ayurveda typically use Terminalis for bleeding and cardiovascular ailments. The leaves of this tree are fed on by the Antheraea paphia moth which produces the tassar silk (Tussah), a form of wild silk of commercial importance. 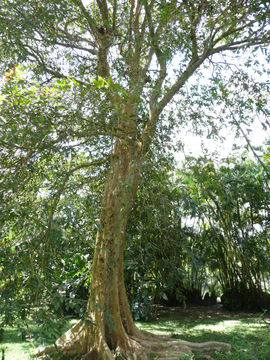 The tree is also planted to provide shade, especially in coffee plantations. 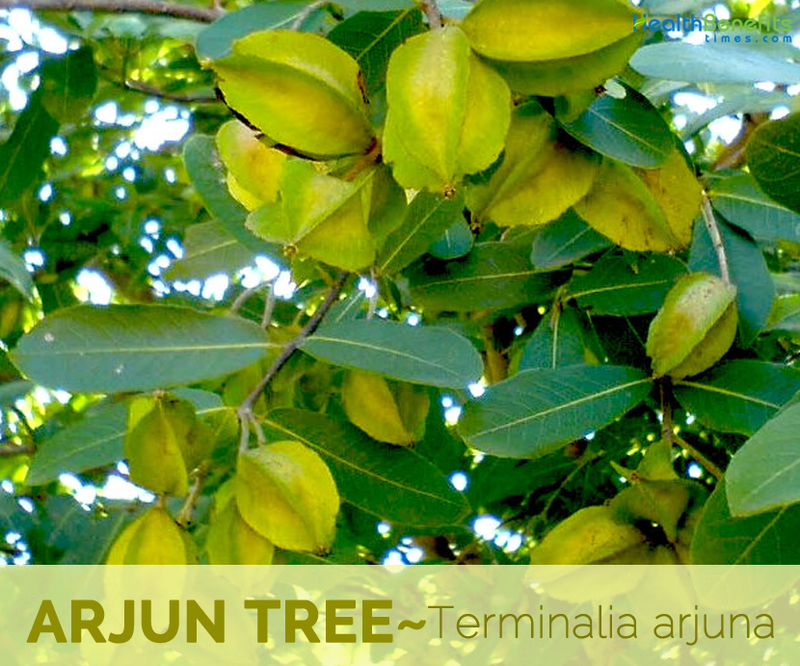 Arjun Tree is an evergreen, deciduous tree that grows about 20–25 meters tall. The tree is found growing in wet, marshy areas on riverbanks, banks of streams and rivers and normally prefers humid, fertile and red lateritic soils, but it can grow in any type of soils. It can also grow in shade. The plant usually has a buttressed trunk about 2.5 m in diameter, and forms a wide canopy at the crown, from which branches drop downwards. 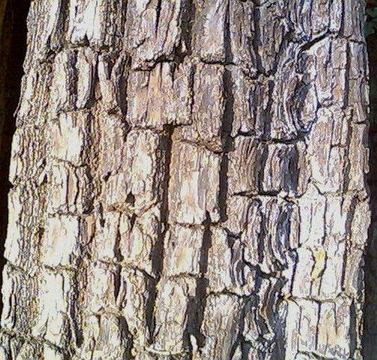 Bark is smooth, grey outside and reddish from the inside. Leaves are usually sub-opposite, oblong-elliptic or somewhat sub-orbicular, 7-18 (-25) cm long, 4-6 cm broad, obtuse, rarely sub-acute with rounded or cordate base, glabrous to sub-glabrous above, partially pubescent beneath, entire somewhat crenate or serrate in the upper half or throughout, petiole 5-10 mm long with 2 (-1) rounded glands at the apex. Leaves are dull green above and pale brown beneath. Flowers are yellowish white, sessile. Hypanthium is broadly campanulate, 4-5 mm long, teeth triangular c. 15 mm long, glabrous. Flowering normally takes place from March and June. Fruit is glabrous, large, round, and woody 2.5-5 cm long, brown elongated oval shape, segmented with stripes, fibrous woody, and tough with 5 hard wings, striated with numerous curved veins. The fruits are seedless too. The fruit appears between September and November. 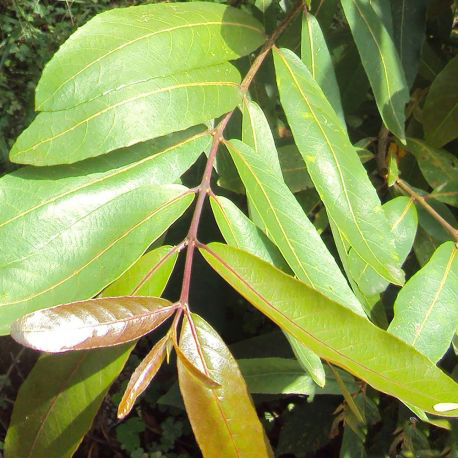 Terminalia Arjuna reduces manifestations of heart failure. It increases left ventricular stroke volume index and left ventricular ejection fractions. Research suggested it helps to improve exercise performance and effort tolerance. Coronary Artery Disease is a common cause of heart failure in addition to uncontrolled hypertension. 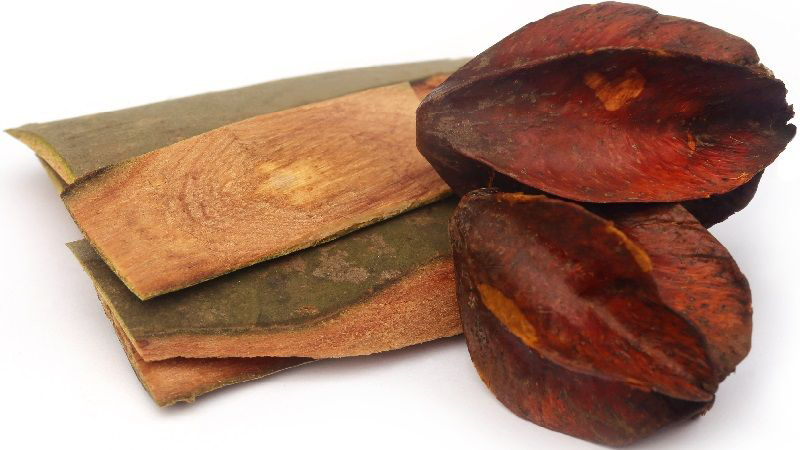 Terminalia Arjuna helps to stop its progress and further plaque deposition by reducing low-grade inflammation in the blood vessels and coronary arteries. In addition, it also checks cholesterol deposits and plaque formation. It considerably reduces serum cholesterol, triglycerides, low-density lipoprotein and atherogenic index. Arjuna consists of compounds that help to protect against DNA damage from toxins. Research has found that pretreatment of lymphocytes with bark extract of Terminalia Arjuna before administration of adriamycin results in significant decrease in formation of micronuclei. So, it protects DNA against adriamicin-induced damage. Terminalia Arjuna is quite beneficial to improve the functions of left ventricle of the heart. It provides strength to the heart muscles and improves the heart’s capacity to pump the blood. It has cardio-protective actions, which helps to preserve the optimum functions of the heart and speeds up the recovery process for cardiac injury. It is most commonly used for prevention from Myocardial Infarction (Heart attack) because it has anti-atherogenic property, which helps to decrease plaque buildup in the coronary arteries and improves the blood flow to the heart tissue. In Ayurveda, Arjuna is commonly suggested for heart disease’s prevention in people suffering from diabetes mellitus and hypertension. Arjuna herb is one of the best home remedies for hypertension or high blood. High blood pressure is an hugely serious medical condition that can cause a heart failure, stroke, coronary heart disease(CHD), heart attack, kidney failure and other serious health problems. The most common symptoms of high blood pressure include severe headache, nausea, vomiting, confusion, vision changes and nose bleeds. So include Arjuna herb regularly to cure hypertension or high blood pressure naturally. 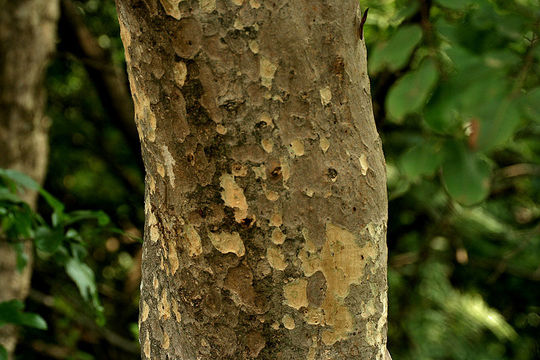 Astringents substances in Arjuna Bark have anti-hemorrhagic property, which may be because it may causes vasoconstriction that helps to reduce bleeding and treat hemorrhages. It is commonly used in Ayurveda for bleeding disorders along with other herbs. Arjuna Bark Ksheera Pak is useful for the treatment of chronic low-grade fever associated with extreme fatigue and physical weakness. However, it is not the perfect medicine for lowering fever, but it assists other medicines to fight off infections and fever. Additionally, it reduces fatigue and weakness and restores body strength. 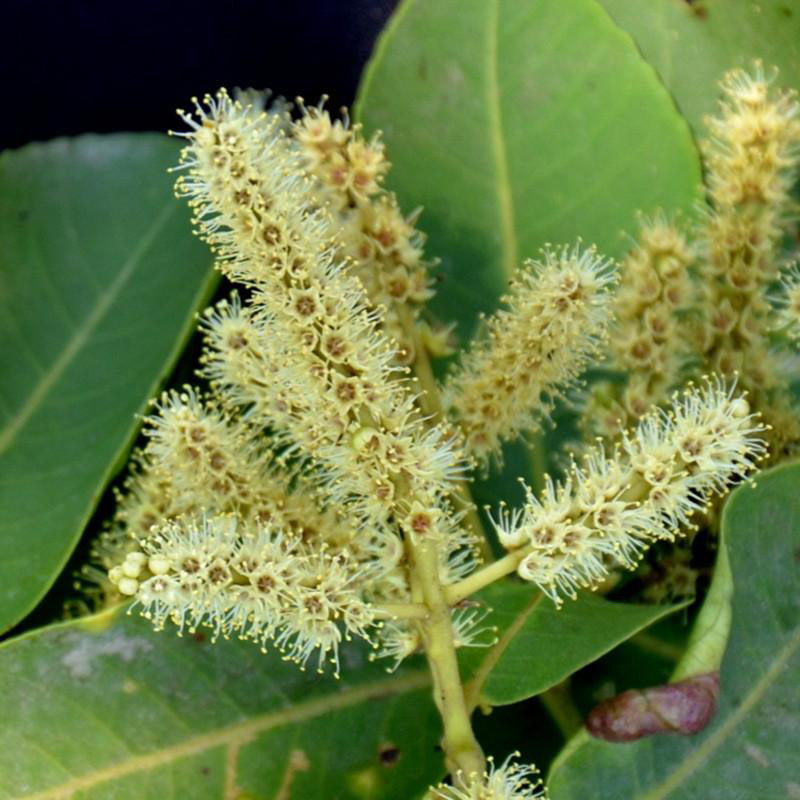 Terminalia Arjuna is used as Arjuna Ksheera Pak along with Indrayava (Holarrhena Antidysenterica seeds) for the treatment of dysentery. This combination helps to reduce bleeding in stools, frequency of defecation, and eradicates the infection. In Ayurveda, a paste of Arjuna Bark is prepared with water and applied on the part of bone fracture after alignment. The application of bark powder is repeated twice a day until recovery. Additionally 3 to 4 grams Arjuna Bark Powder along with 2 grams of Cissus Quadrangularis is recommended to take twice daily with Cow’s Ghee and Desi Khand (naturally prepared sugar). It is believed this helps to speed up the proliferative physiological process, which enhances the fracture healing. Arjuna was introduced into Ayurveda as a treatment for heart disease by Vagbhata. It is traditionally prepared as a milk decoction. In the Ashtānga Hridayam, Vagbhata mentions arjuna in the treatment of wounds, hemorrhages and ulcers, applied topically as a powder. Arjuna is an excellent medicine for Heart; it has the capability to even reduce heart failure. It is also very useful in the treatment of any sort of pain due a fall, ecchymosis, spermatorrhoea and sexually transmitted diseases such as gonorrhea. 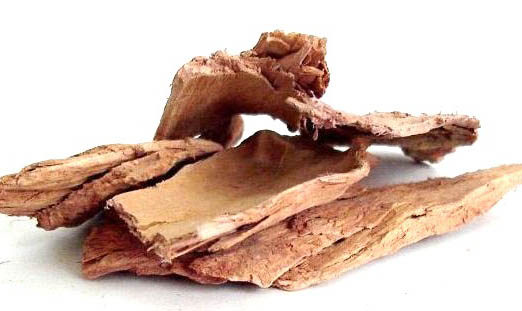 Arjuna bark (Terminalia Arjuna) is thought to be beneficial for the heart. 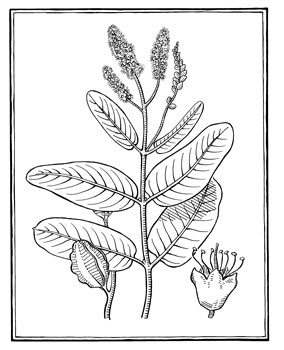 Terminalia is useful in alleviating the pain of angina pectoris and in treating heart failure and coronary artery disease. Terminalia may also be useful in treating hypercholesterolemia. Bark is a cardiac tonic, lowers blood pressure and reduces blood cholesterol levels. Bark is taken internally to treat a range of heart conditions and seems to work best when blood supply to the heart is poor, as in angina and ischemic heart disease. It is also of value in helping to maintain a steady heartbeat. The gum is used medicinally. Juice of the bark is used as a tonic. Juice from the leaves is used traditionally to treat earache. It is a good source of minerals, which helps to prevent bone loss (osteoporosis) and improve bone mineral density. It stops bleeding, so it is beneficial in bleeding disorders. It reduces the frequency of urination, so it is beneficial in polyuria and frequent urination. It has astringent action, so it is helpful in the management of leucorrhea. It is the herb for respiratory system and helps to remove phlegm and provides relief in cough. It is taken with Red sandalwood, rice water and sugar in the treatment of Haemoptysis. It is widely used in treating Bronchitis and Asthma. 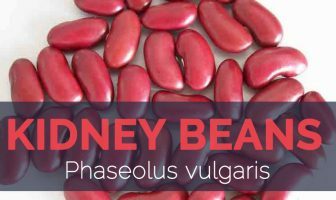 Women used it in curing Leucorrhoea and excessive menstrual bleeding. It is a good herbal cure for Acne when it is mixed with honey and applied on Acne. It is recommended for treating Edema. Arjuna and milk promote the union of broken bones. Heart Disease: Make a decoction of the bark. Add some bark to milk and boil for 5 minutes. Take it every morning. OR Take one tsp bark powder with one glass milk twice a day. OR Grind the Bark. Take 2 pinches powder and mix in one tsp honey. Have it with milk for 15 days. OR Boil one tsp powder in ordinary tea. Take it once a day. OR Put one tsp bark powder in one cup of water. Add half cup milk. Boil till milk remains. Add 2 tsp of Loaf sugar. Have it every morning. Asthma: Make a dish of the condensed milk. Sprinkle the Arjuna powdered bark over the dish to get relief. Consume this dish once a day. Acne: Grind the bark of Arjuna. Mix required bark powder of Arjuna in honey. Apply on affected parts. OR Powder the Arjuna bark. Sprinkle the powder on pimples. You may add water if needed. Fracture: Bark Powder mix with honey. Apply on the affected part. High Blood Pressure: Powder the Arjuna bark. Take one pinch with lukewarm water for one week. Earache: Squeeze the juice of fresh leaves of Arjuna. Use it as ear drop. Aphthous Ulcers: Take a small fresh twig of Arjuna. Chew it for 10 minutes then wash out. OR Grind the dried bark of Arjuna. Apply it to the affected portions and wash it after 10 minutes. Heavy Menstrual Bleeding: Boil half tsp of Arjuna bark powder in one liter water. Cool. Drink it after every 2 hours. Wounds: Prepare a thick decoction of Arjuna bark. Wash wounds with it twice a day. Ascites: Prepare a tea from Arjuna bark. Drink twice a day. Cough: Prepare a decoction of Arjuna bark. Take half cup once a day. Leprosy: Take one tsp of Arjuna bark powder with lukewarm water as well as apply a paste of bark powder with water on affected parts. OR Boil 2 tbsp powder with water. Mix in a bucket of water and take bath once a day. Fever: Take one tsp Arjuna bark powder with Jaggery once a day. Fractures: Make a powder of Arjuna bark. Take one tsp of any powder with milk thrice a day. Tonic: Take half tsp bark powder with Jaggery daily. Jaundice: Mix half tsp of Arjuna bark powder with Ghee. Take twice a day. Leucorrhoea: Boil one tsp of Arjuna bark powder in one cup of milk till it remains half. Add Sugar candy. Drink thrice a day. OR Take 3 to 6 grams of Arjuna bark powder once a day. Congestive Heart Failure: Prepare a decoction of the bark of Arjuna. Drink half cup in the morning and half cup in the evening. OR Mix the Arjuna bark powder in 3 to 5 grams of Milk, Jaggery or Ghee. Consume it 2 to 3 times a day. Wounds: Prepare a decoction of Arjuna bark. Wash wounds with lukewarm decoction twice a day. OR Powder Arjuna bark. Sprinkle powder on wounds. Dysentery: Have 2 tbsp of decoction of Arjuna bark once a day. Bronchitis: Take the bark of Arjuna. Prepare a decoction. Take one tsp twice a day. Anti-inflammatory: Make a decoction of Arjuna bark. Have 10 ml of it twice a day. High Cholesterol: Drink 5 ml decoction of Arjuna bark twice a day. Liver Diseases: Take 2 drops of Arjuna bark extracts thrice a week. Peptic Ulcers: Take 1 drops bark extract of Arjuna with lukewarm water. Have it twice a day. Bruises: Powder the bark of Arjuna to make powder. Add some honey in it. Take half tsp of it once a day. 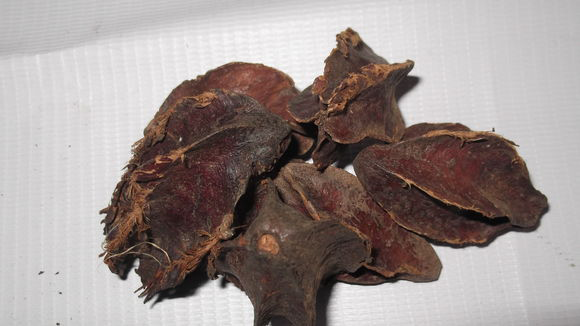 Anemia: Boil Arjuna bark in water for 10 minutes. Consume 5 ml when bearable hot. Have it two times a day. Ulcers: Use bark decoction of Arjuna to wash your ulcers. Skin Diseases: Take 3 to 6 grams of Arjuna bark powder once in a day. Oral Herpes: Prepare a decoction of Arjuna bark and gargle once a day. Urinary Problems: Prepare a decoction of 5 to 10 gm. of Arjuna bark in 20 ml water and drink twice a day. Dull Skin: Crush Arjuna barks and mixes it with honey. Apply topically to get rid of dull skin. Heart Attacks: Add 1 to 2 drops of Arjuna extracts in a glass of water. Drink it twice a day. It reduces the risk of Heart Attack. Headache: Add 2 to 3 grams of Arjuna bark, boil them in milk. Take it for two times a day. Bladder Stones: Boil the stems of Arjuna or extract the juice from it. Add some honey. Take it twice a day. Arrhythmia: Mix 1 to 2 drops of Arjuna extracts in lukewarm milk. Consume it twice a day. 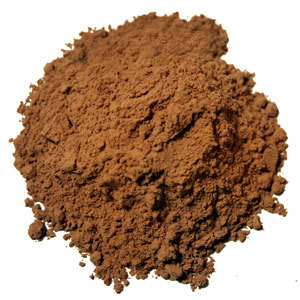 Angina: Boil 2 to 3 tsp powder of Arjuna bark in a glass of water. Use this preparation twice a day. Tachycardia: Mix 1 to 2 tsp of Arjuna bark powder in warm milk. Consume it 2 to 3 times a day. Pericarditis: Add 1 to 2 tsp powder of Arjuna bark and prepare a tea. Drink it twice a day. Ischemia: Consume 3 to 5 grams Arjuna bark powder with lukewarm milk twice a day. Cardiac Arrest: Prepare a tea from Arjuna bark. Drink twice a day. Heart Enlarged: Take Arjuna bark tea 2 times in a day. Spermatorrhoea: Grind Arjuna bark. Mix 2 pinches of Arjuna bark powder and one pinch of sandalwood powder in one cup of lukewarm water. Drink once a day for 15 days. Heart Diseases: Take equal amount of Arjuna bark and Caryota Urens. Grind. Have a tsp powder with one glass milk once a day. Tachycardia: Take one tsp of Arjuna bark powder with one cup tomato juice once a day. It normalizes the heartbeat. Tachycardia: Take one tbsp of wheat flour. Fry in one tbsp of clarified butter. Add half tsp of Arjuna bark powder and sugar according to taste. Add water and cook to make a gooey desert. In India this is called Halva. Have it every morning. Heart Diseases: Take one tsp each of Arjuna bark powder and wheat flour. Cook in one glass milk. Add 2 tsp honey and take once a day. Stomach ache: Take half tsp of Arjuna bark powder and ¼ tsp of powdered Asafoetida. Add salt according to your taste. Have it with lukewarm water once a day. Diabetes: Take barks of Arjuna, blackberry, caraway and Anthocephalus cadamba in equal amount. Grind them together. Boil 5 tsp powder I half liter water. Have it twice a day for one month. Body Odor: Take dried leaves of Arjuna and Blackberry in equal amount. Make a paste. Apply on all over the body. Keep for 15 to 20 minutes and take bath. Tuberculosis: Mix quarter tsp of Arjuna bark powder with half tsp juice of peach leaves. Take it with 2 drops of honey. Repeat this methods 2 to 3 times a day. Sinusitis: Prepare a decoction of Arjuna bark along with Azadirachta Indica (Neem) and basil. Drink it once a day. Boils in mouth: Take root of Arjuna tree and make a powder. Mix the powder with sesame oil. Now use this to gargle. It cures mouth disorders like cavity, boils, bleeding, toothache, halitosis and many more. Blemishes: Grind the bark and mix with honey. Apply this on face as a face pack. It helps to treats unwanted blemishes. Bleeding Diathesis: Boil 5 gm. bark of Arjuna bark in 250 ml of cow’s milk and 125 ml water. Boil in low flame till only milk is left. After cooling mix 10 gm. Sugar candy and give this to the patients every morning. It is beneficial for diarrhea and other bleeding disorders. Metorrhagia: Boil 1 teaspoon powder of Arjuna bark in 1 cup of milk till it gets reduced to half. Add a little amount of sugar candy to it. Give this to the patient thrice a day. Urinary disorders: Take equal quantities of Arjuna bark, Neem, Indian gooseberry, turmeric and Blue lotus. Grind them all together to form a powder. Take 20 gm. of this powder and boil in 400 gm. water till water is reduced to 100 ml. Mix honey in this decoction and give this to the patient twice a day. It cures all types of urinary disorders. Urinary disorders: Take juice of leaves of Arjuna, bael, Jamun and Henna leaves. Prepare a decoction of these ingredients. It will taste sour but cures all types of urinary disorders. Leucoderma: Mix 1 teaspoon powder of bark in the mixture of cow’s urine, dung and neem juice. Mix well and apply on the white patches. With the regular usage, it treats the disease. Fracture: Give 1 teaspoon powder of Arjuna bark with a cup of milk. Give this 2-3 times a day for few weeks. It strengthens the bones and aid in recovery. Fracture: Grind its bark in ghee and apply the paste on the spot of fracture and then cover with a bandage. It helps in joining the bone. Urinary obstruction: Make a decoction of Arjuna’s bark. Give 40 ml decoction once a day. It treats the disease. Oedema: Give 1-1 gm. powder of its bark twice a day. It causes excessive urination thus aids in the disease. Dyspepsia: Make a powder of Arjuna’s bark. Give 1 teaspoon powder of its bark with jaggery. It cures the disease. Ulcers– Make a decoction of Arjuna’s bark. Rinse the wounds and ulcers with this. Give 1 teaspoon powder of its root to be taken with milk. It cures the discoloration of skin around the wounds. Fever: To cure fever, give 40 ml decoction of its roots. It cures the fever in few days. Indigestion: Take equal quantities of powder of bark of Arjuna root and bark root of gangrene. Give 2 gm. of this powder twice a day to the patient followed by milk. It cures the disorders due to acidity. Dermatoses: Give 1 teaspoon powder of its bark with water. You can also grind its bark in water and apply the paste on the affected area. Also rinse the boils with the decoction of its bark. It cures the disorder in few days. Ear pain: Extract Arjuna leaf juice and put few drops in ear. Sting: Ashes of the bark is effective in relieving scorpion sting. The tree is planted to provide shade, especially in coffee plantations. 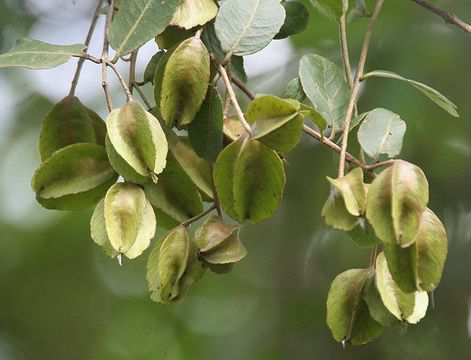 Leaves of this tree are also fed on by the Antheraea paphia moth which produces the tassar silk (Tussah), a form of wild silk of commercial importance. Ash from the wood is mixed with tamarind juice and eaten for medicinal purposes. Leaves often used as green manure. Bark and fruits contain tannins, which is of commercial value. The wood, very hard and not easy to work, is commonly used in general construction and for making agricultural implements, mine props, carts, boats, and many others. You should consult an ayurvedic physician before taking Arjuna formulations during pregnancy. It may cause slight constipation and flatulence. High doses may cause harm to the liver. A decoction of the bark with milk is used as a beverage. Chuncoa glabra Buch.-Ham. ex Wall. Terminalia berryi Wight & Arn. 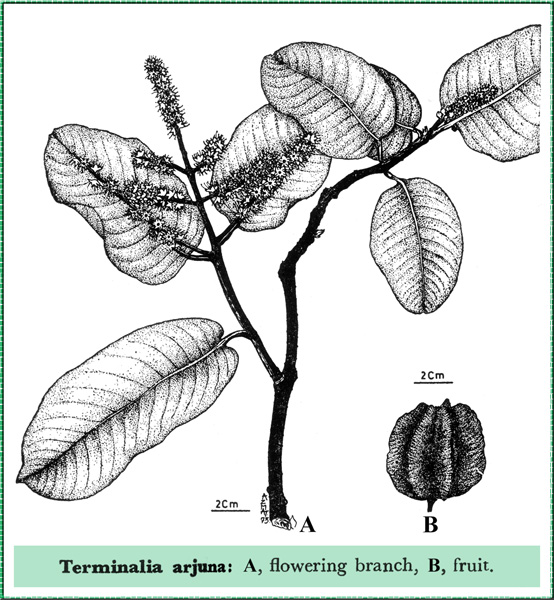 Terminalia glabra Wight & Arn. Terminalia ovalifolia Rottl. ex C. B. Cl.